Food processing floors take a particular hammering on a daily, sometimes 24/7, basis. These floors face frequent contact with heat, chemicals, and spills as well as heavy equipment and machinery. Avoiding the need to regularly replace floors, saves money, time and unnecessary headaches. A concrete floor for example, will not last long in a factory setting without cracking under a heavy load and chemical exposure. They are almost impossible to maintain and they risk high exposure to failure of Hazard Analysis and Critical Control Points (HACCP) compliance. Luckily, there are better options than opting for a concrete floor that may crack under pressure. Roxset SE’s industrial factory floor is specifically designed and tailored for food, beverage and meat processing facilities. It offers a seamless, clean and safe floor that supports a productive environment while withstanding heavy use for many years. 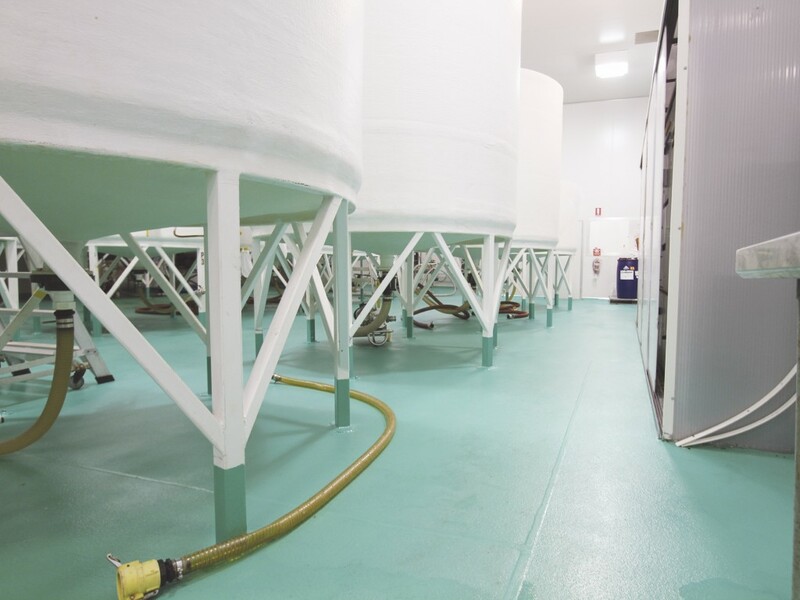 The Roxset SE solution for food factories is both HACCP and Slip Resistant (R13) to meet the high safety grade. Additionally, the aggregate can be varied to suit the various traffic areas of the factory whether it be foot, forklift or trolley. Industrial grade coatings offer a seamless surface free of joints, cracks and crevices. Roxset uses epoxy – a thermosetting polymer, which is available in three formulations for a seamless floor. The available formulations are water based, solvent based and 100 per cent solid based. They allow for varying thicknesses, from 3ml to 10ml, depending on a factory’s needs. Epoxy bonds well to concrete and is ideal for use as a resurfacing agent for old or worn concrete. The best epoxy formulation is 100 per cent solid for an extremely hard, thick and impact resistant coating. Cleanliness is a top priority that Roxset has captured in its floors. Limiting the spread of diseases such as listeria is critical. The Roxset SE industrial floor reduces the risk of contamination in areas around drains so they do not harbour bacteria. This is done with an epoxy coating, which will dramatically limit these dangerous harbourage points.